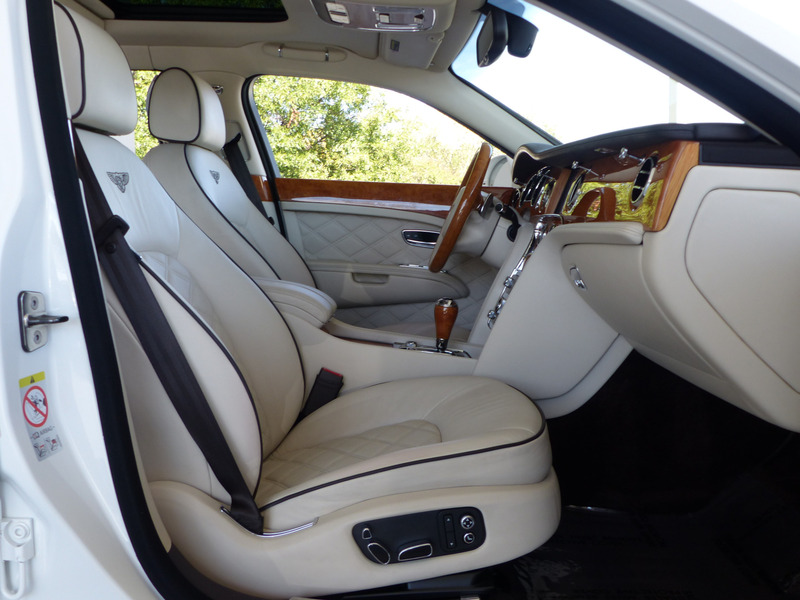 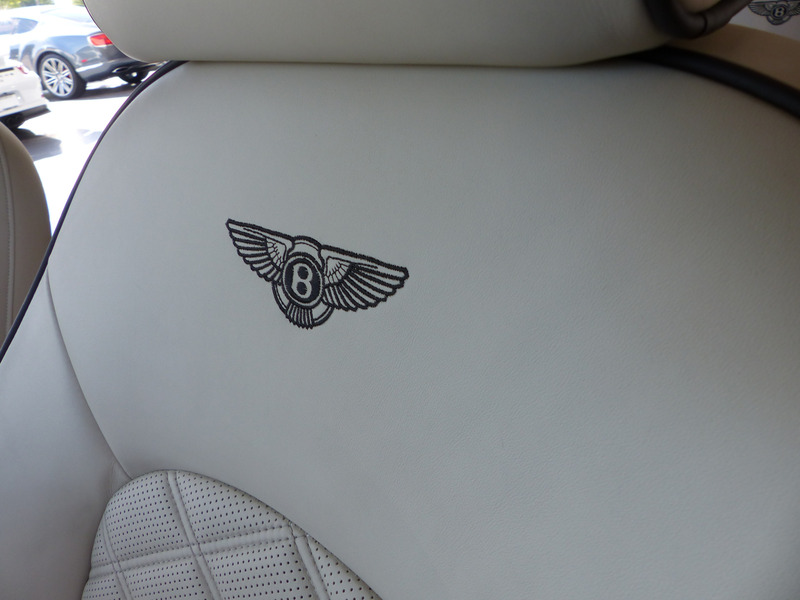 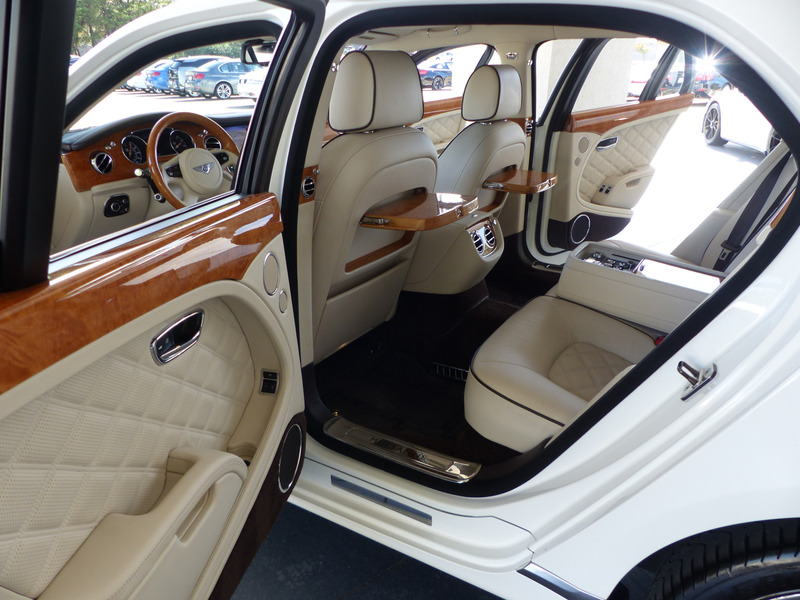 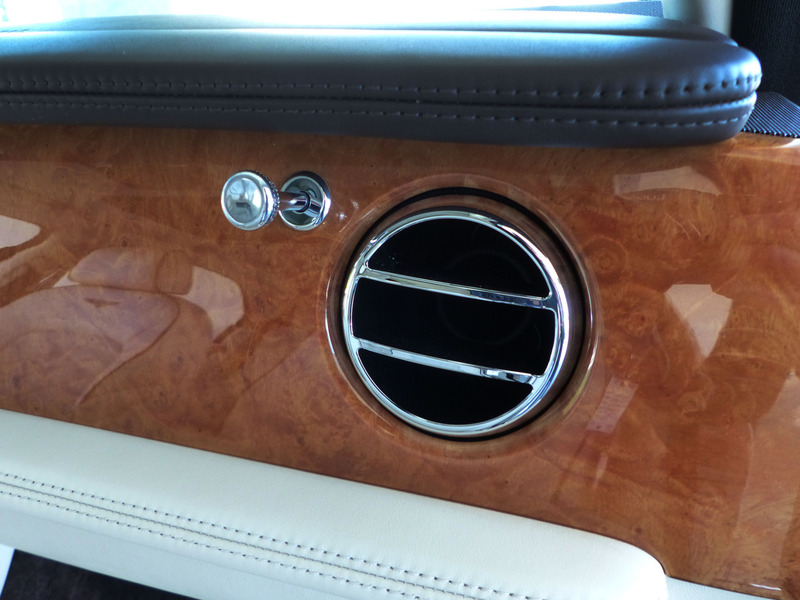 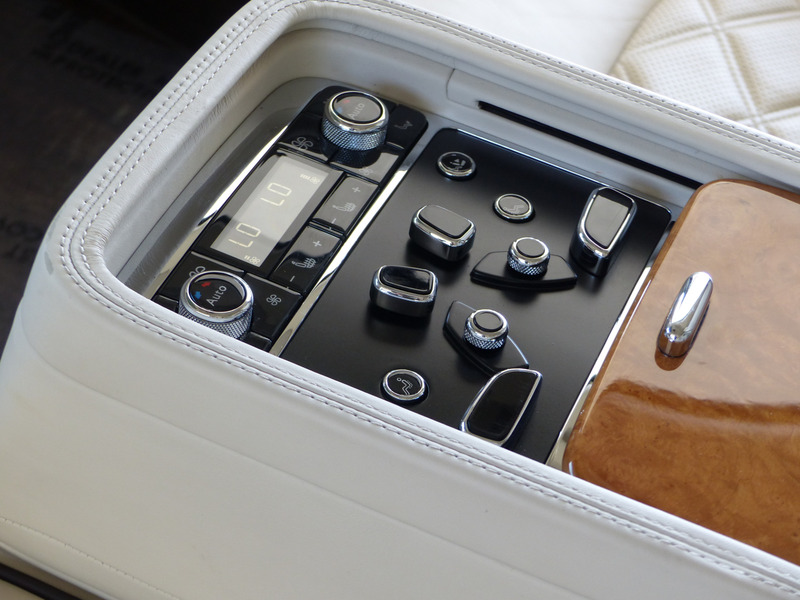 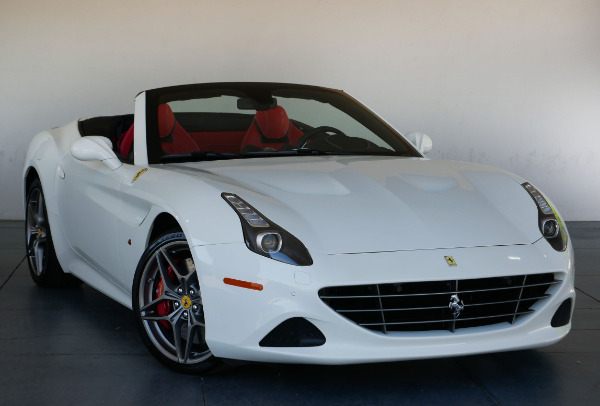 The most sought after most desirable and best color combination on the market: Glacier White exterior over Linen Leather interior w/ Burnt Oak Seat Piping (cost option). 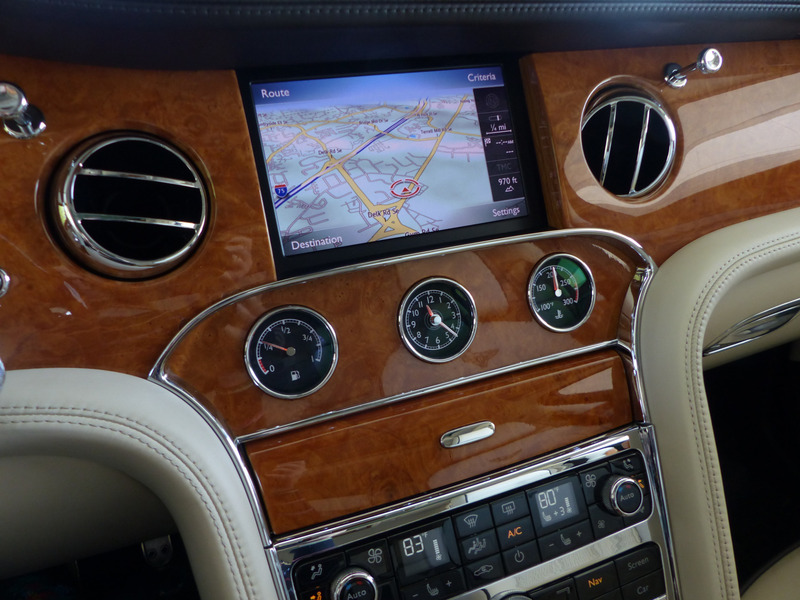 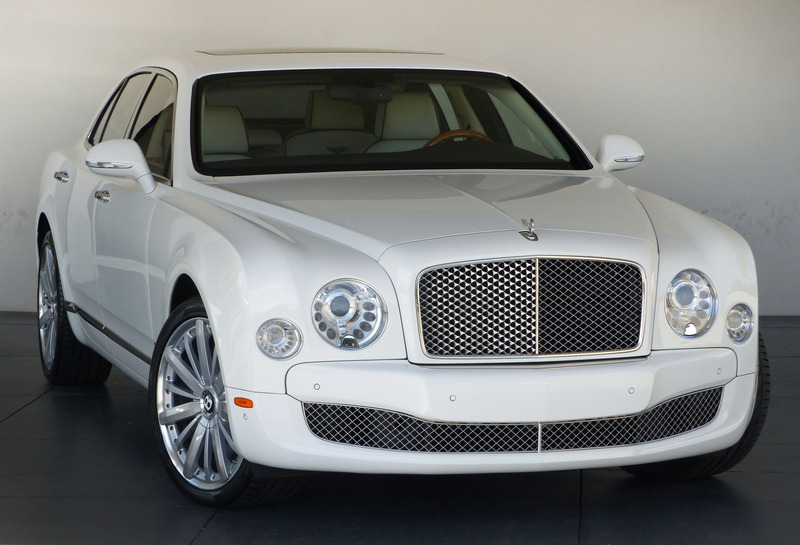 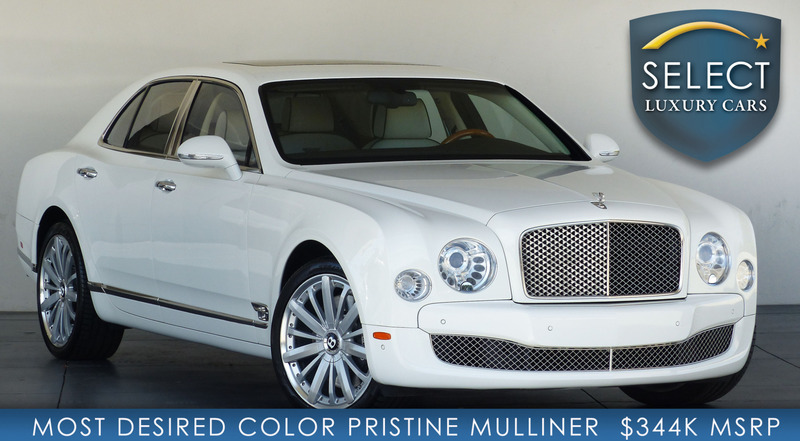 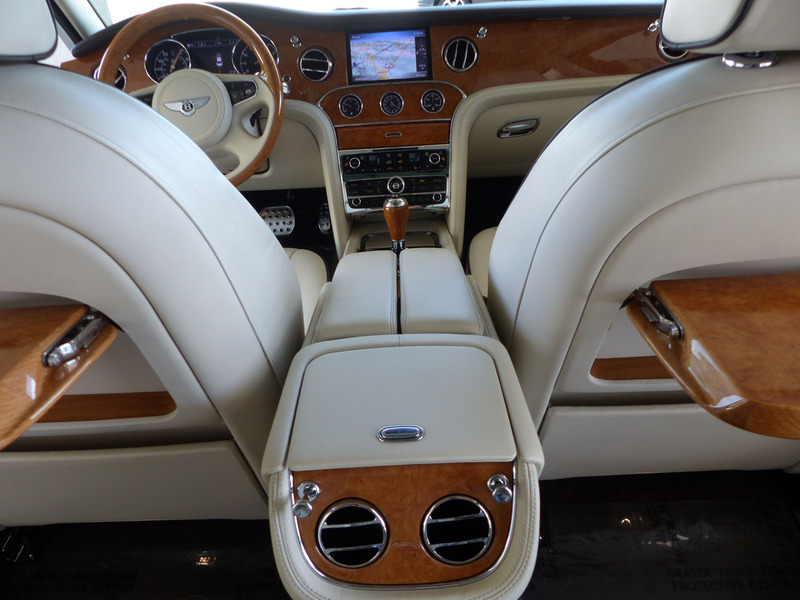 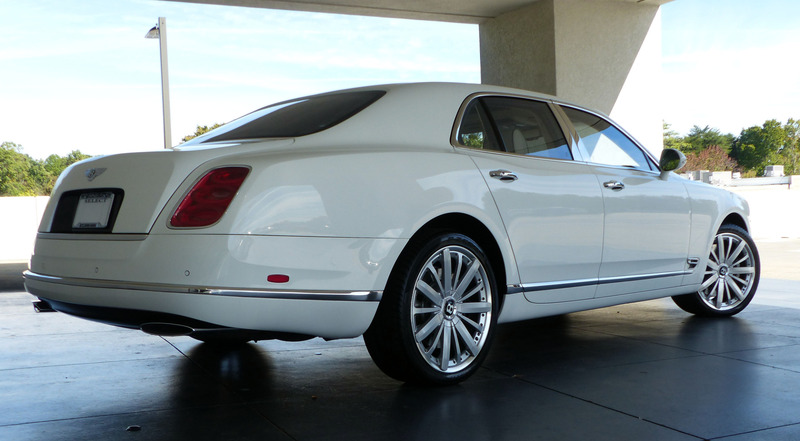 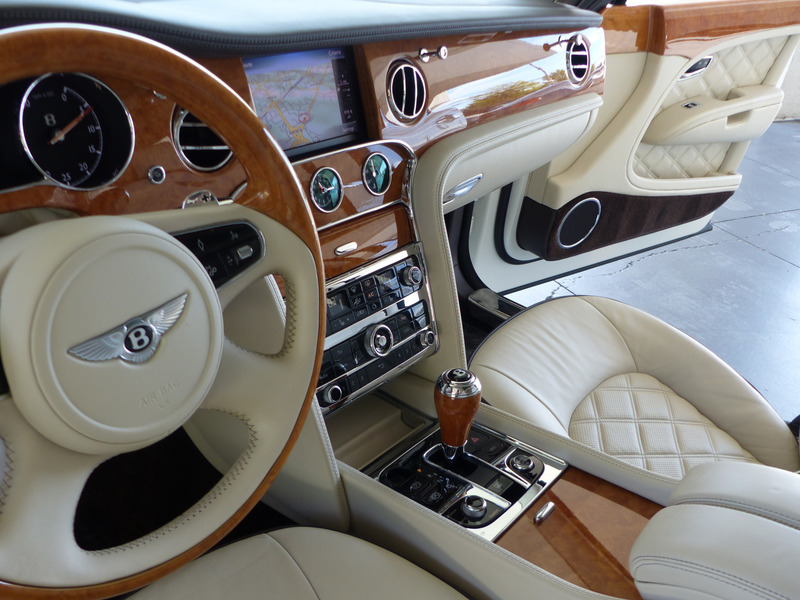 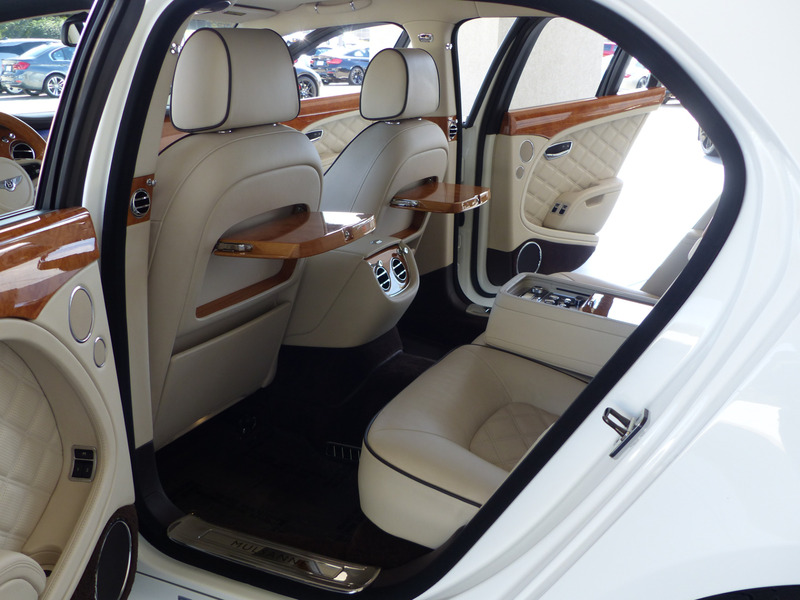 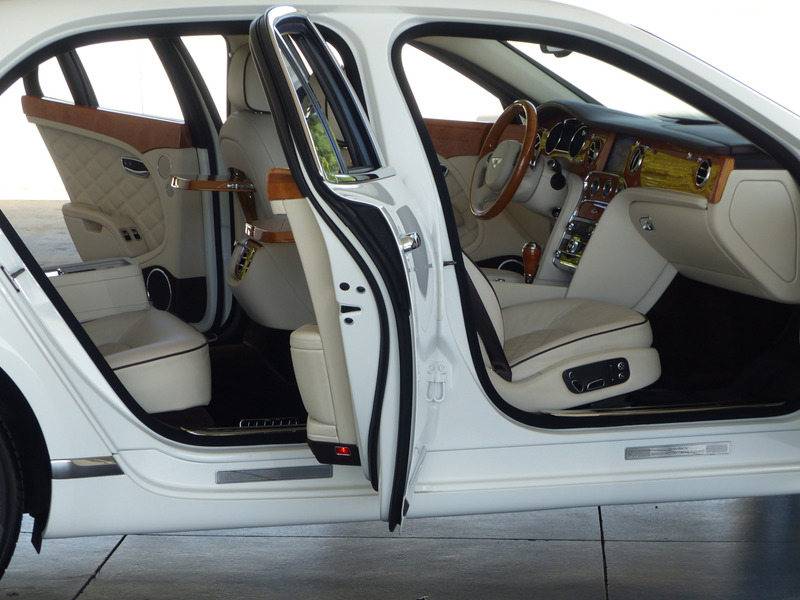 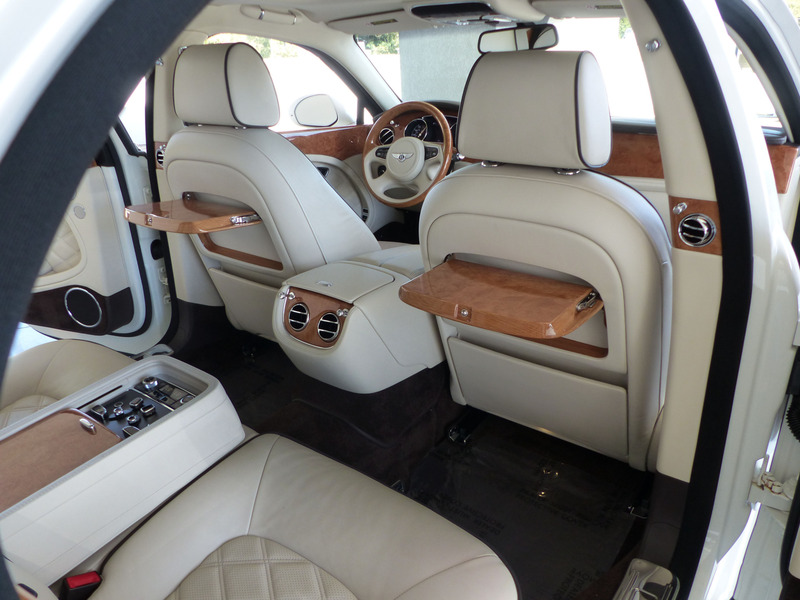 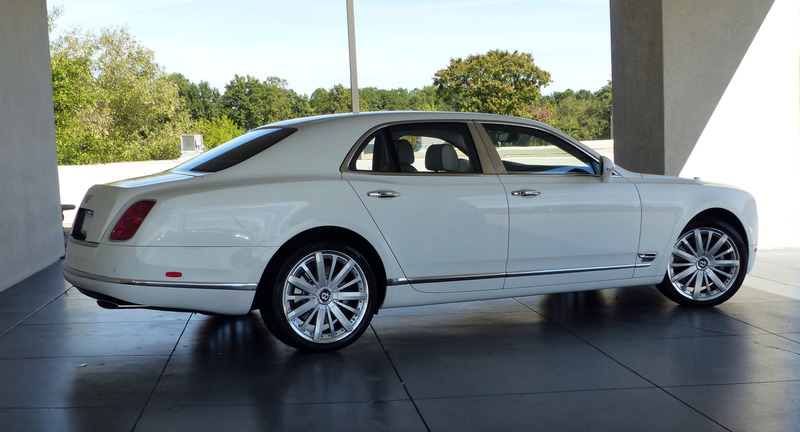 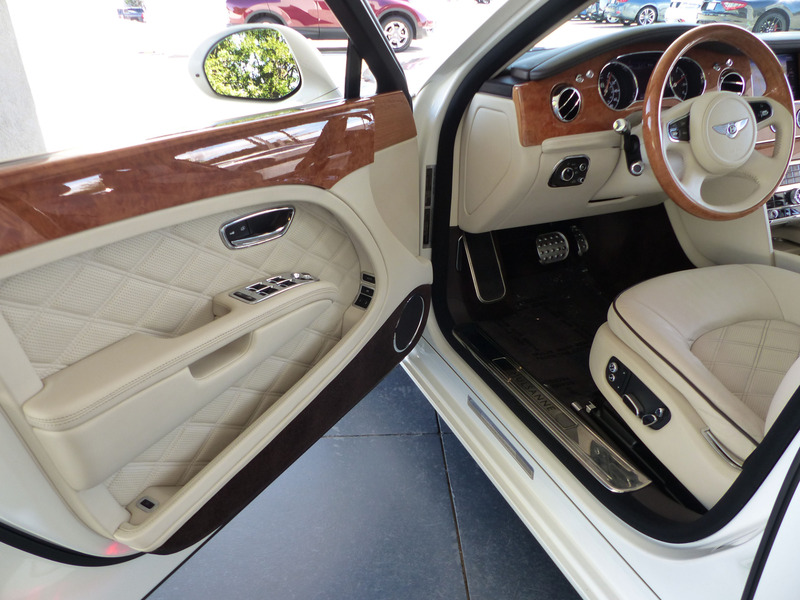 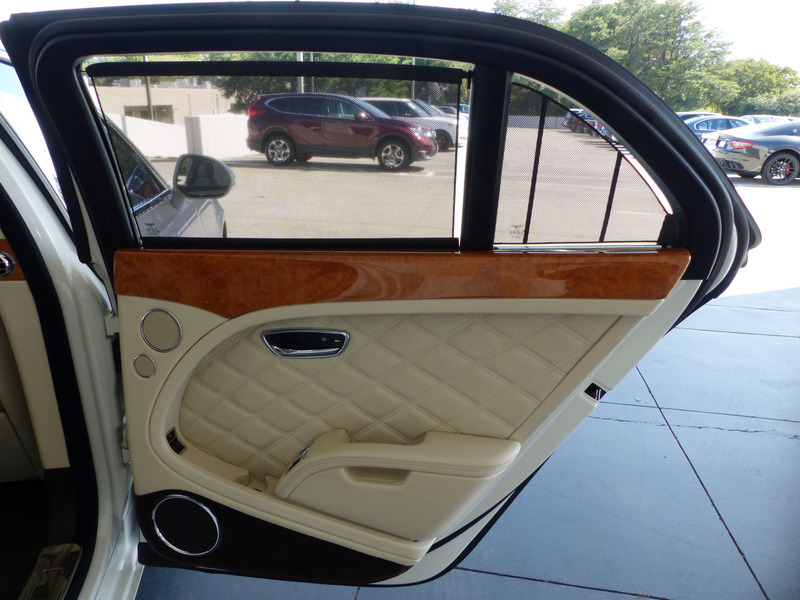 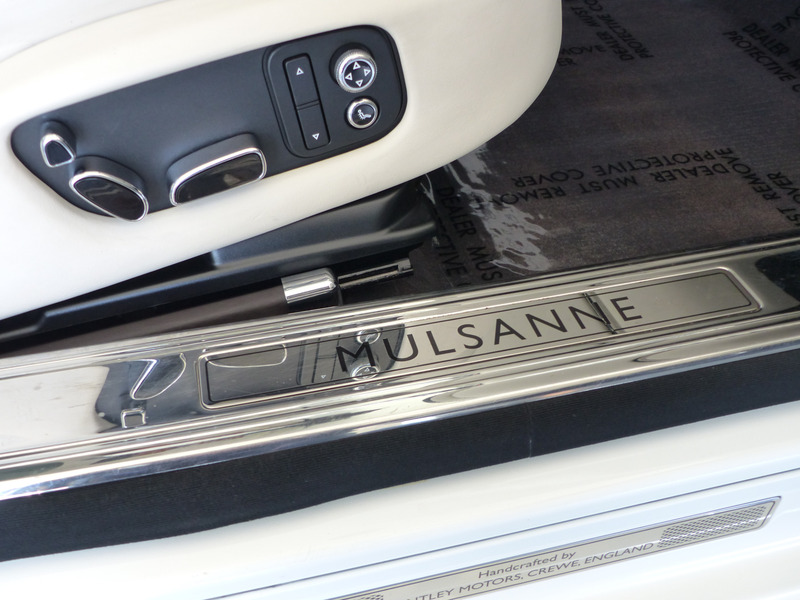 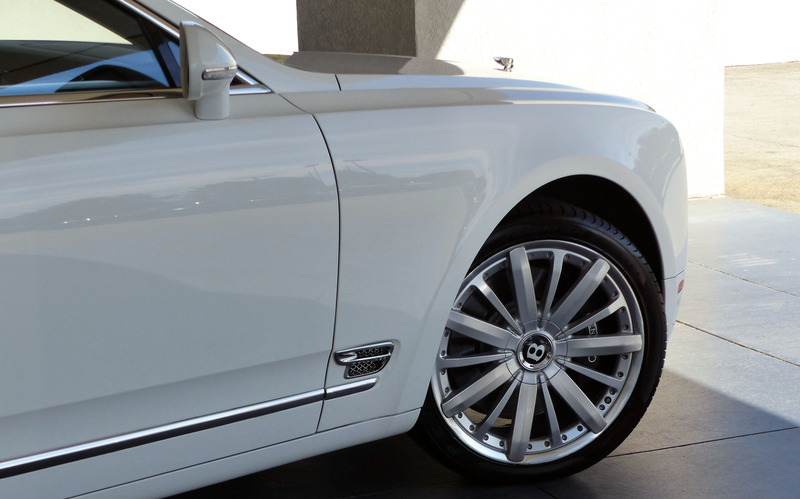 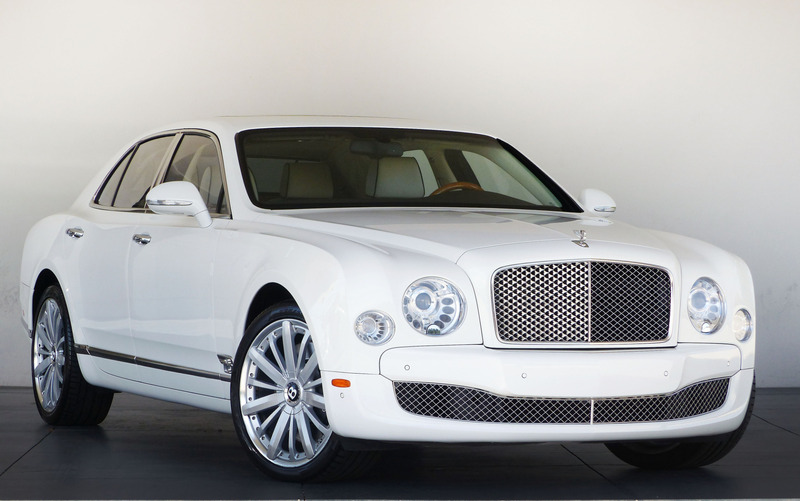 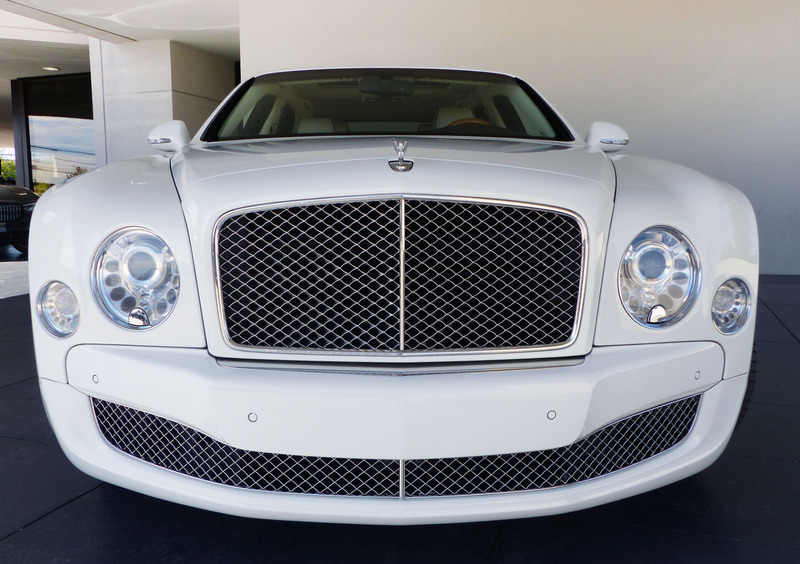 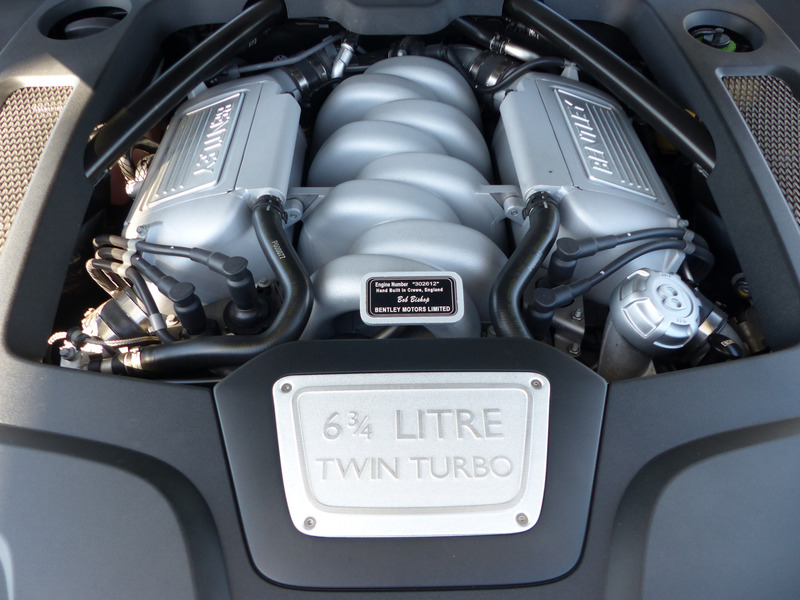 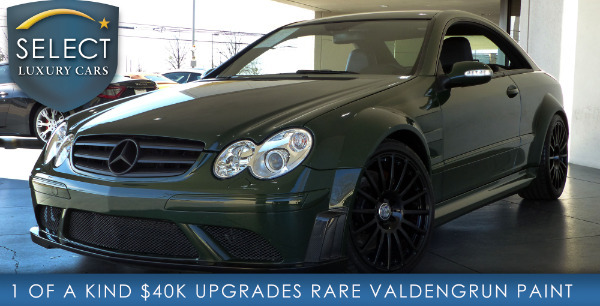 * Mulliner Driving Specification - $15750 Option!!! 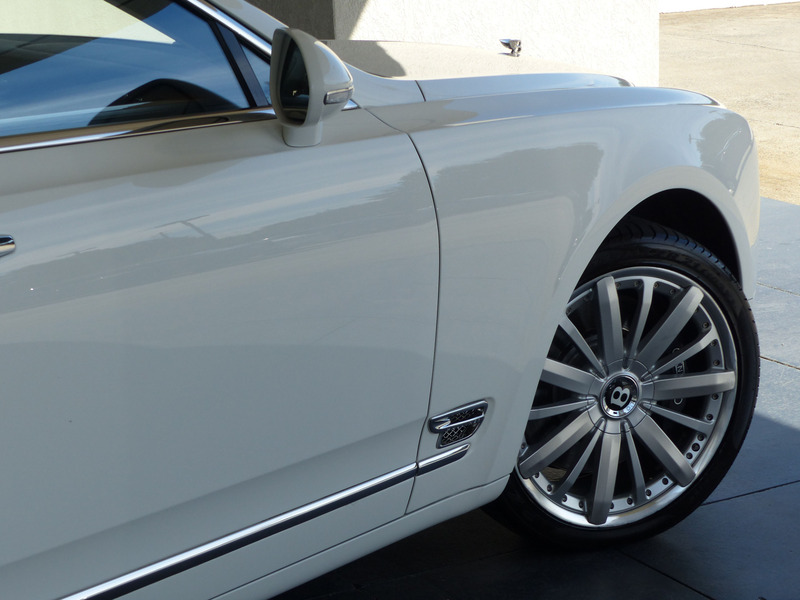 - 21-inch 2-piece 5-spoke Painted Alloy Wheels! 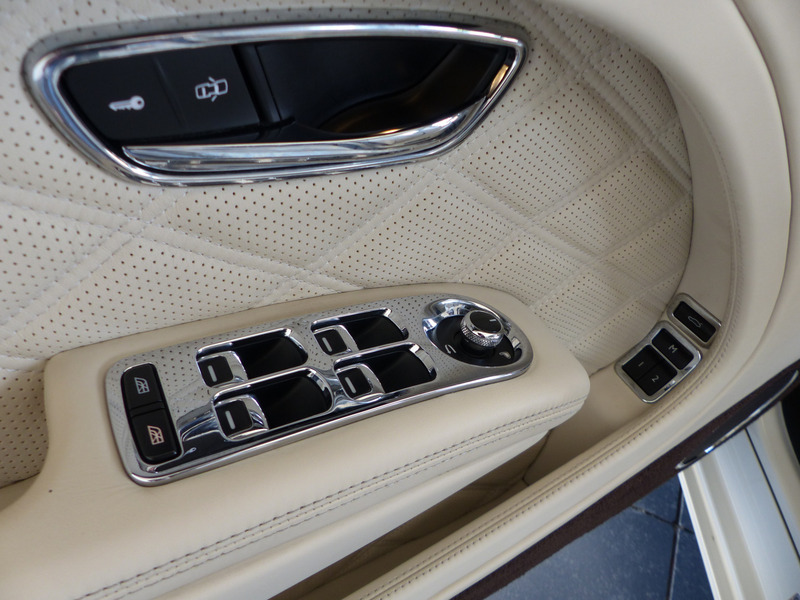 - Drilled Alloy Accelerator and Brake Pedals! 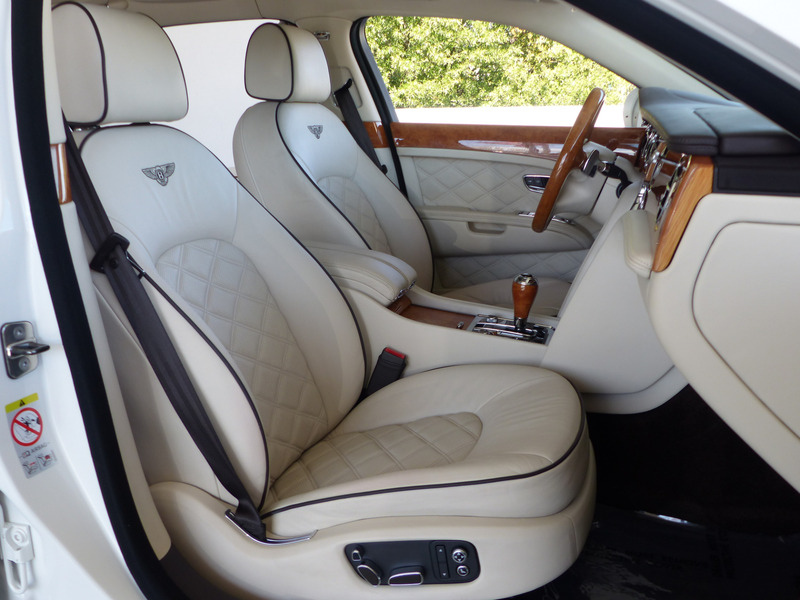 - Sport-tuned Suspension and Steering! 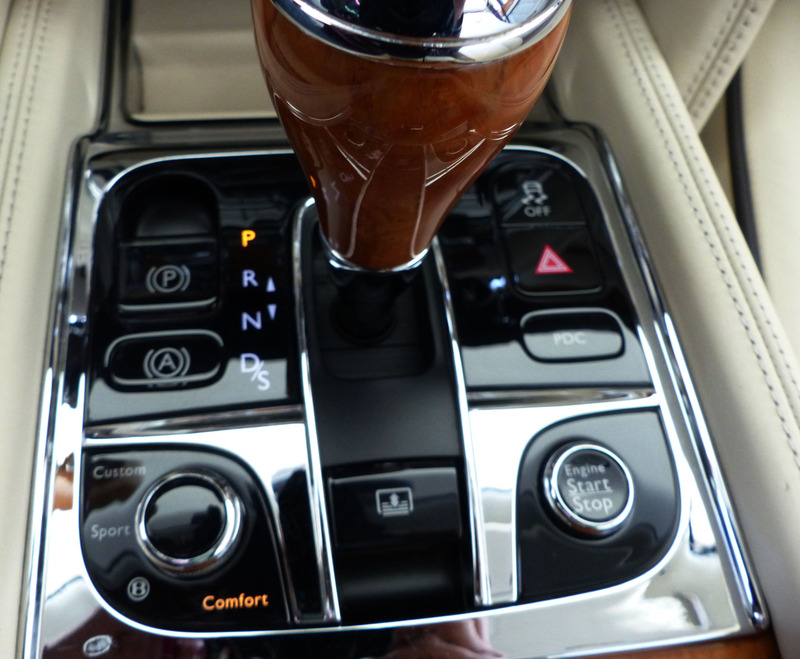 - Gear Lever Finished in Knurled / Hide! 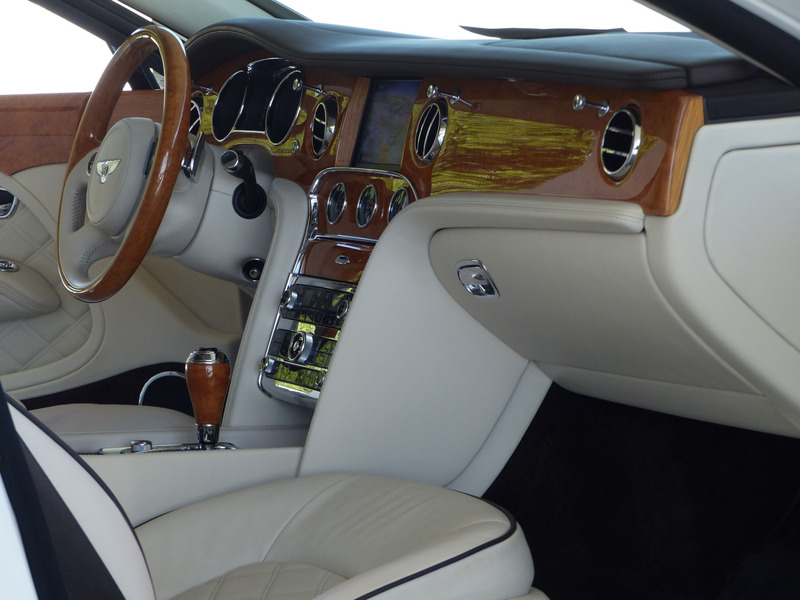 - Two- tone Leather / Venner Combination! 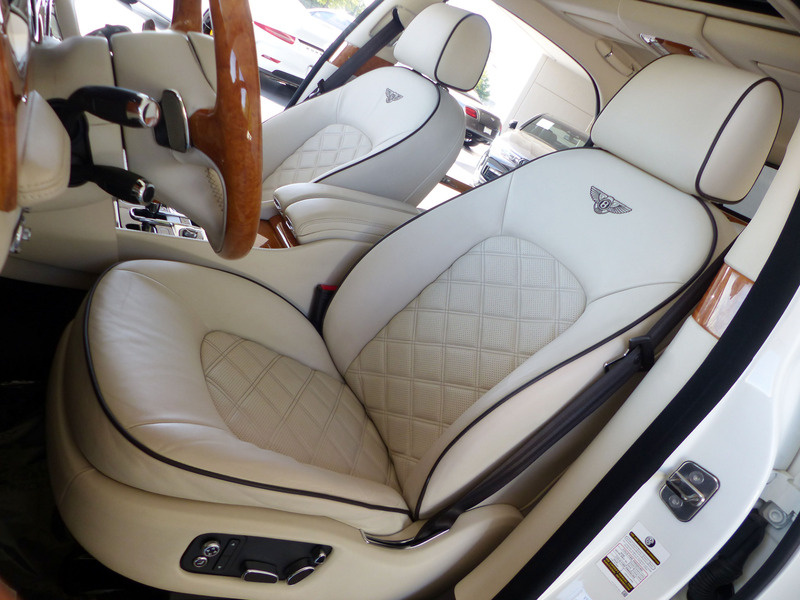 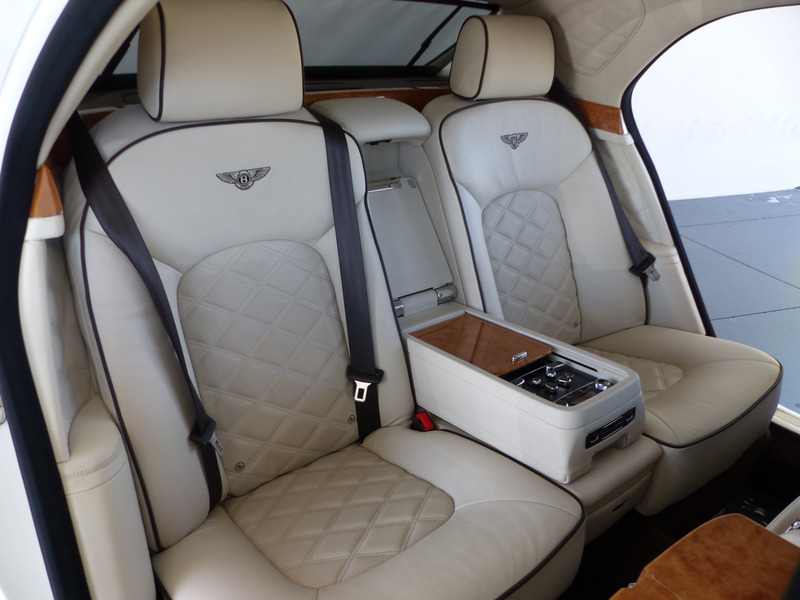 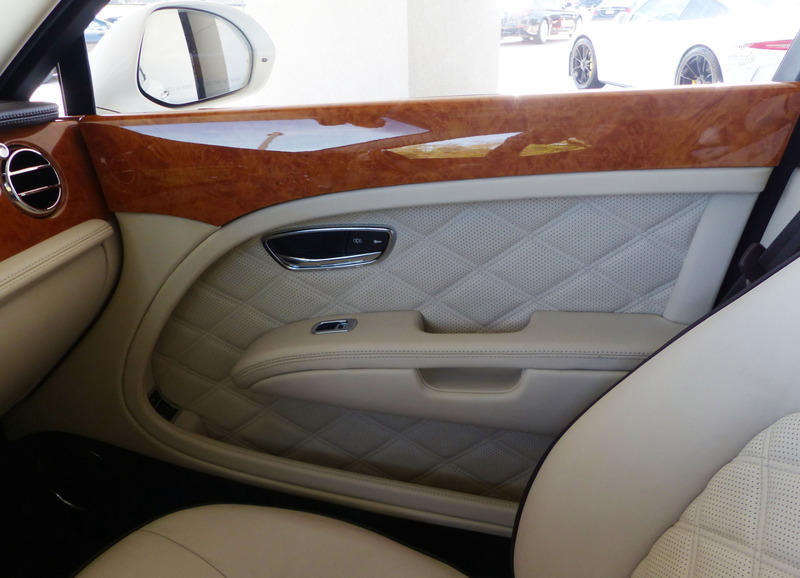 - Diamond Quilted Hide Throughout! 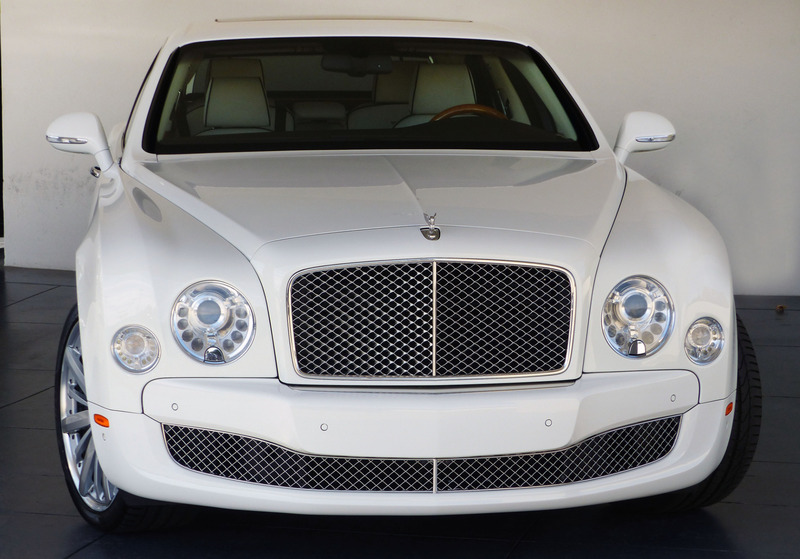 Before being Selected as choice inventory this clean CARFAX Bentley Mulsanne was always owned in driven in a friendly climate free of salt and harsh elements and has 5 service records (just serviced in June of this year). 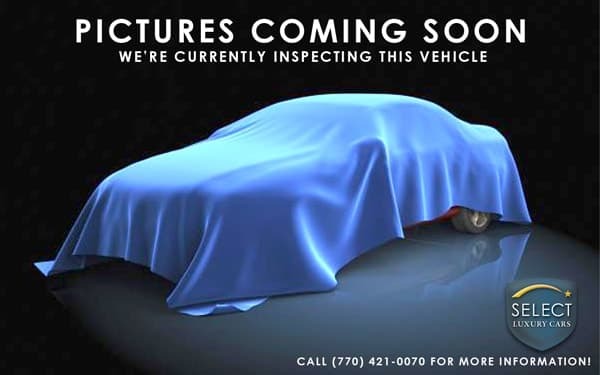 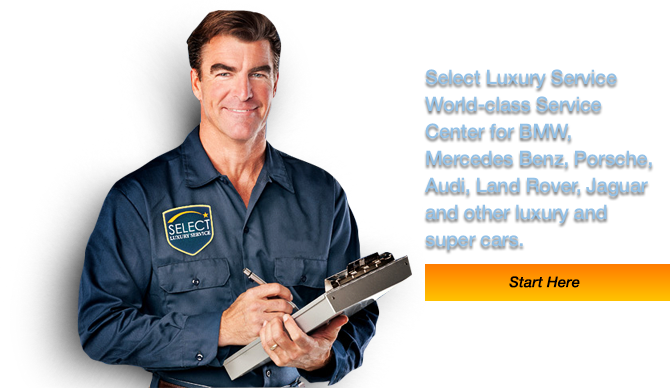 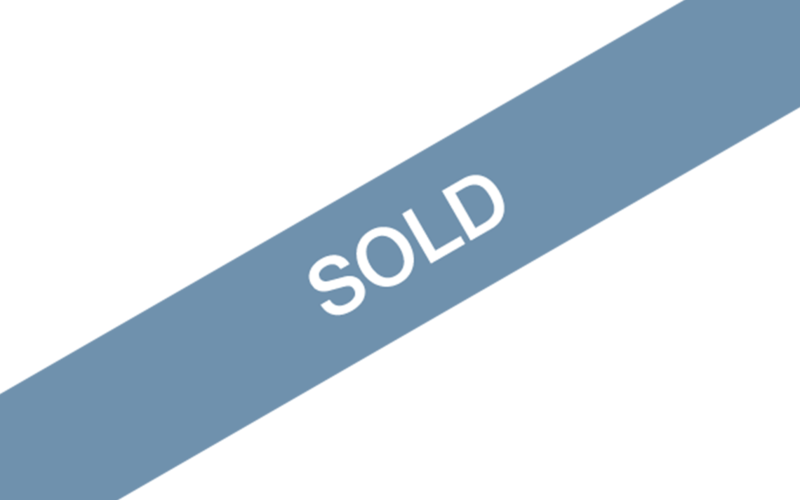 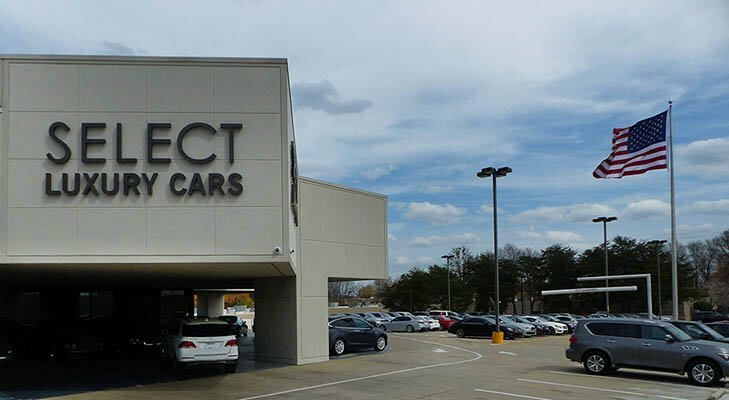 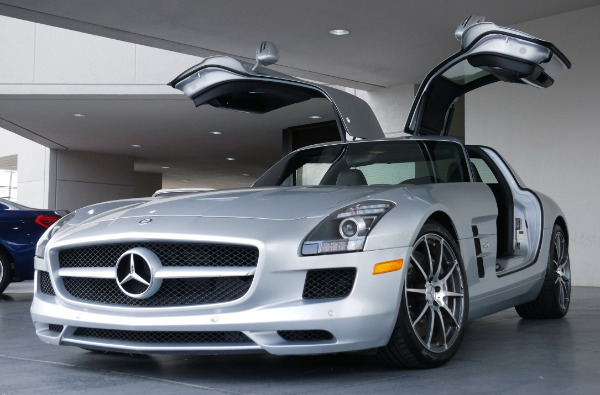 * Premium Specification - $14425 Option!!! 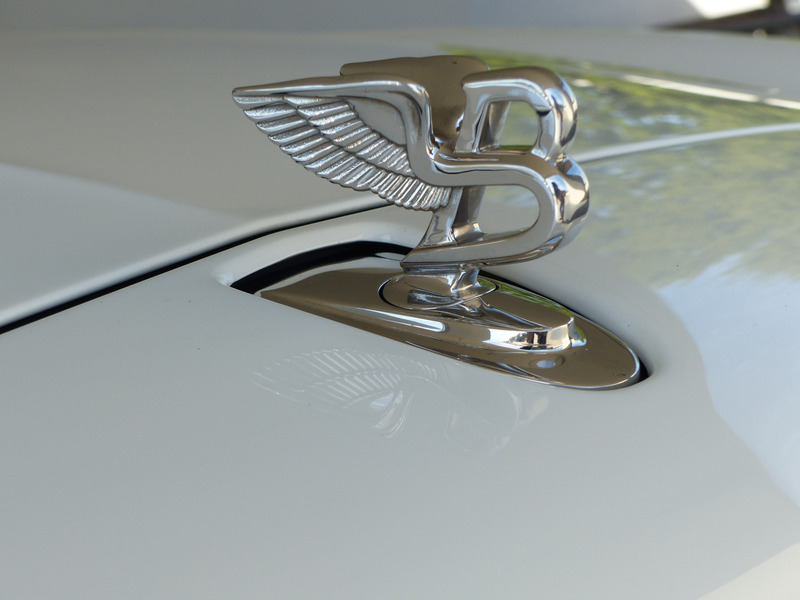 - 3D Retractable Flying B Radiator Mascot! 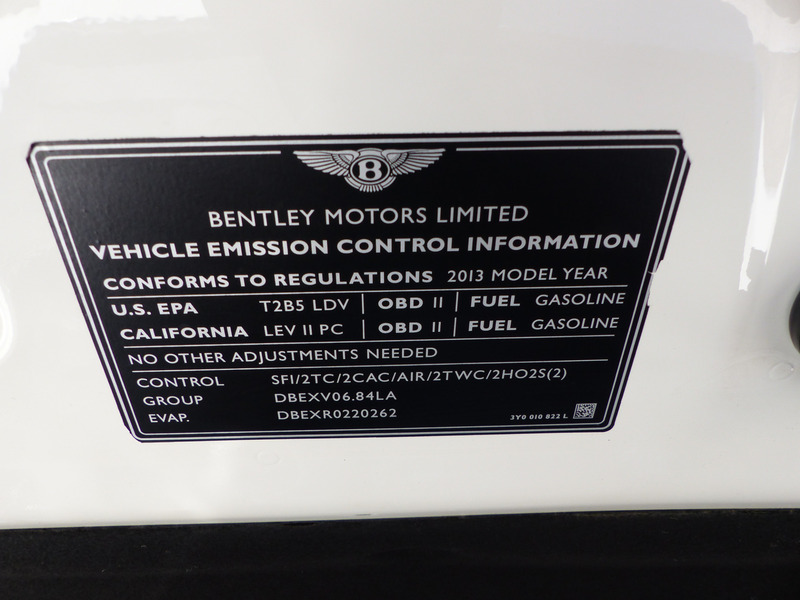 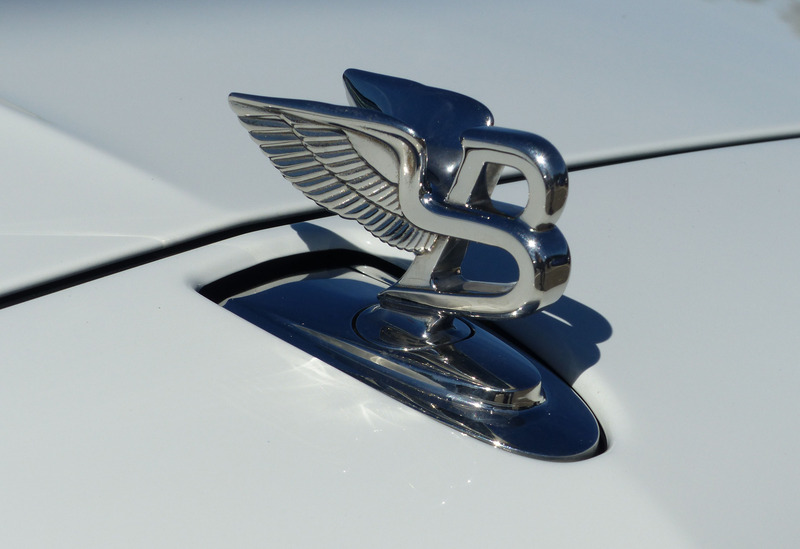 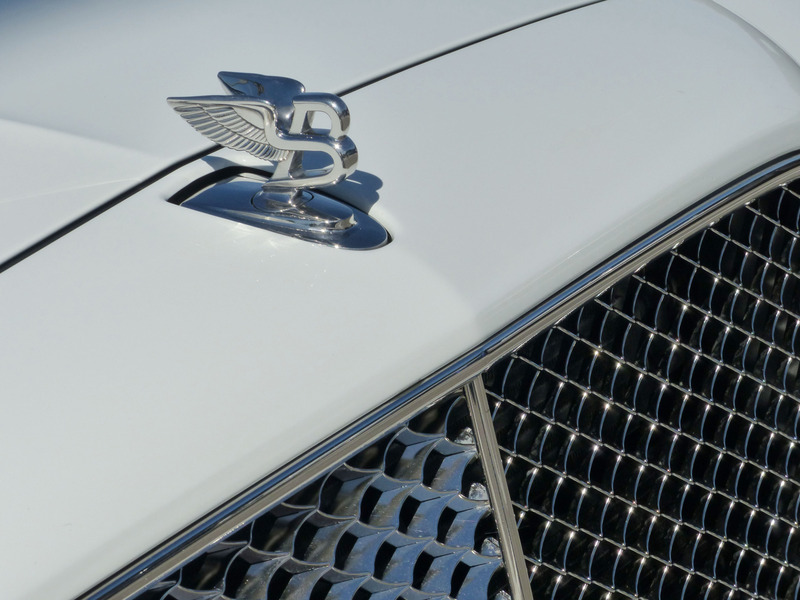 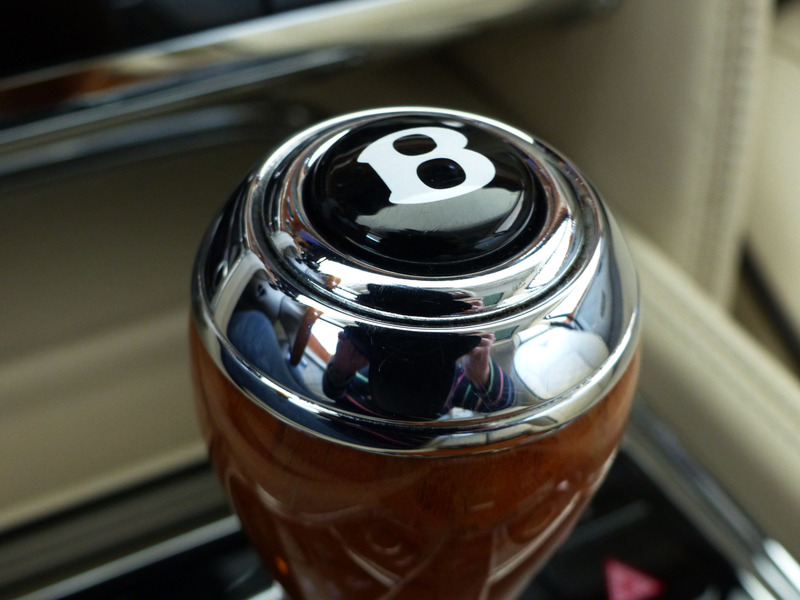 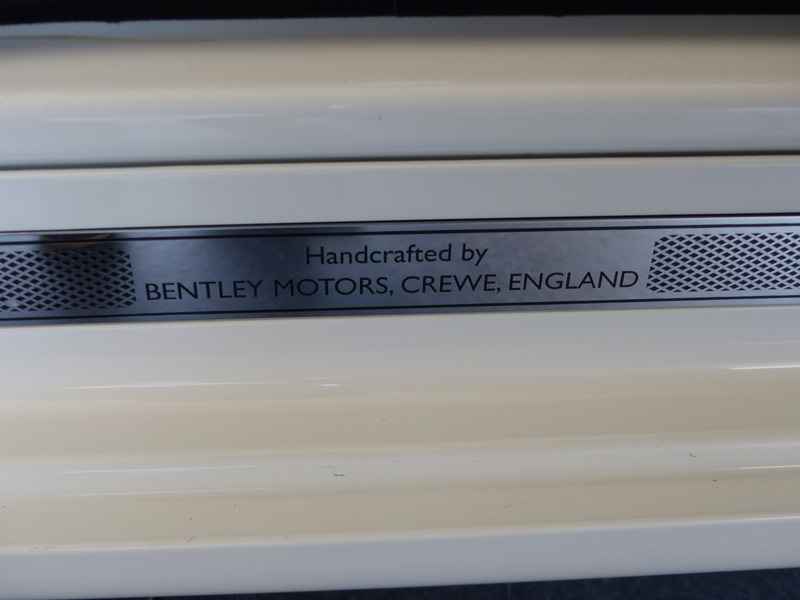 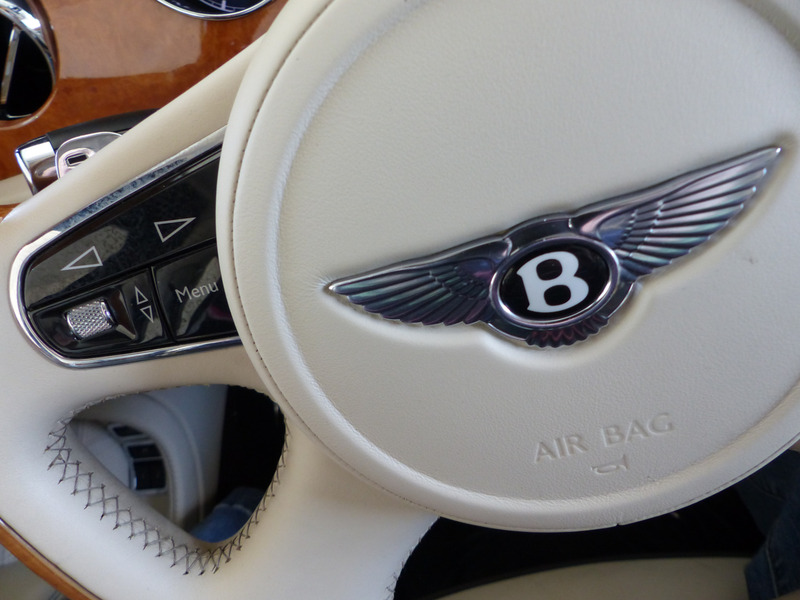 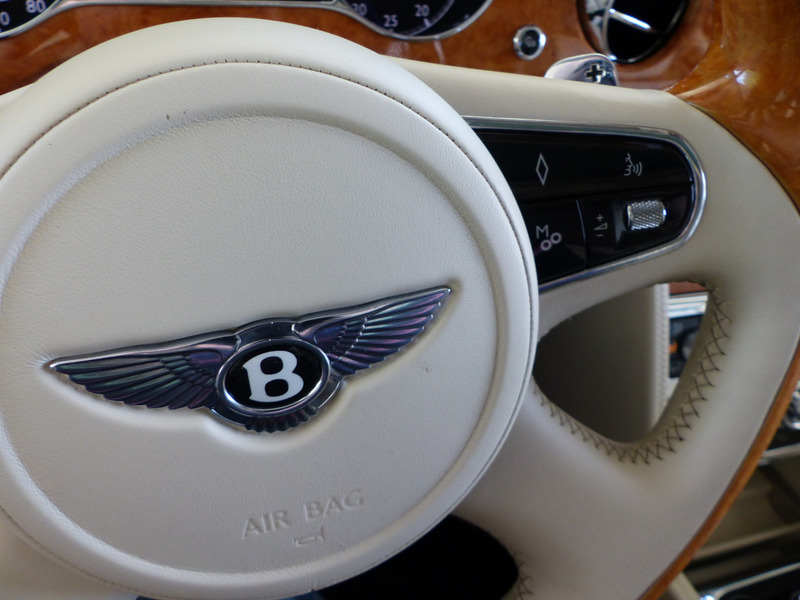 - Bentley Jewel Fuel Filler Cap! 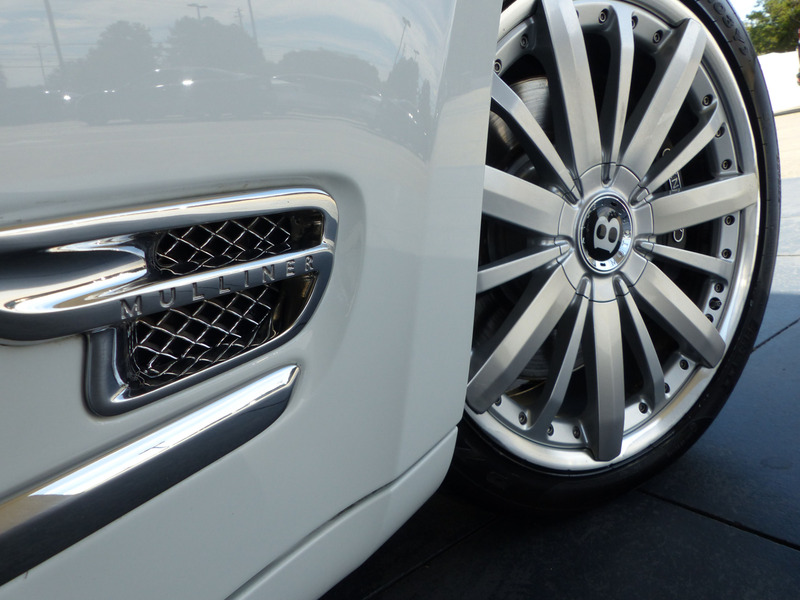 - Bright Stainless Steel Matrix to Lower Bumper Apertures! 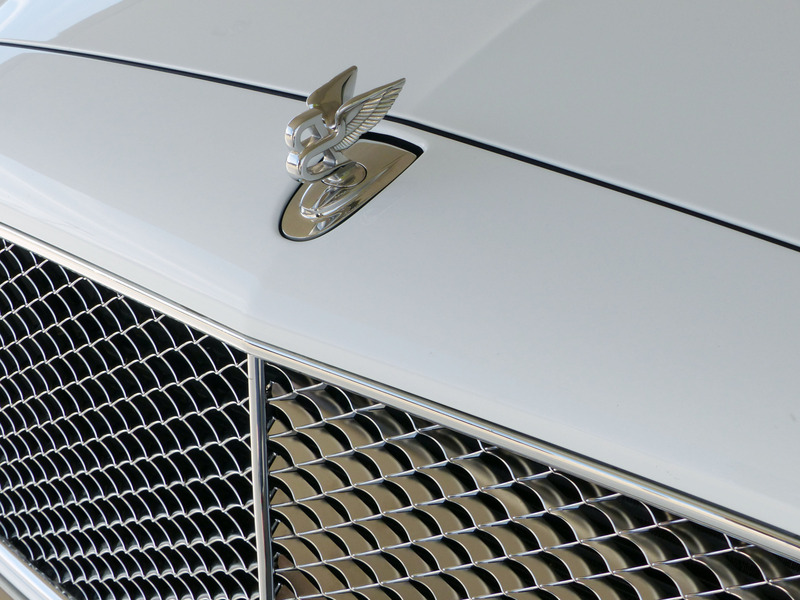 - Bright Stainless Steel Matrix to Front Wing Vents! 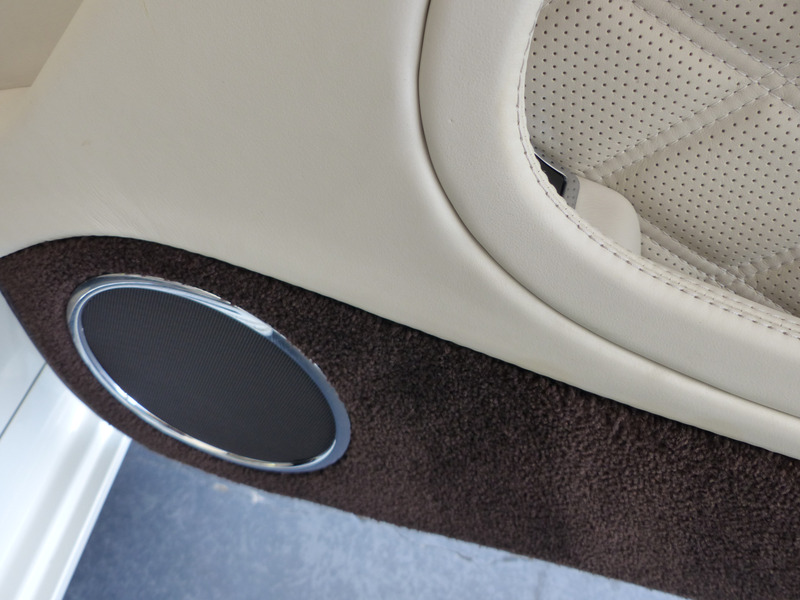 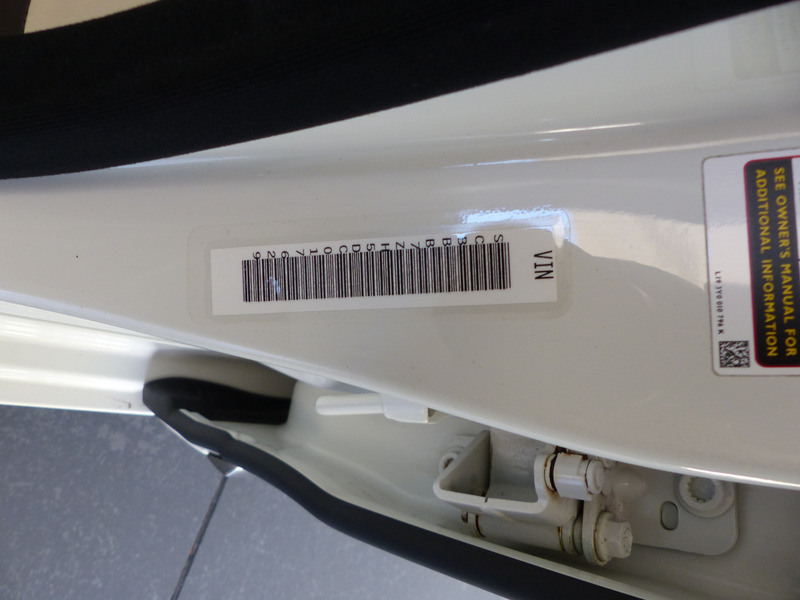 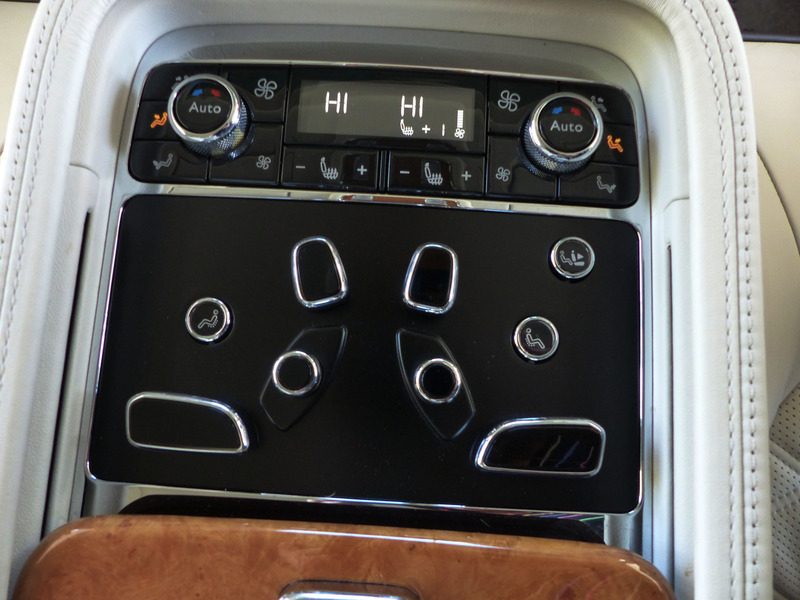 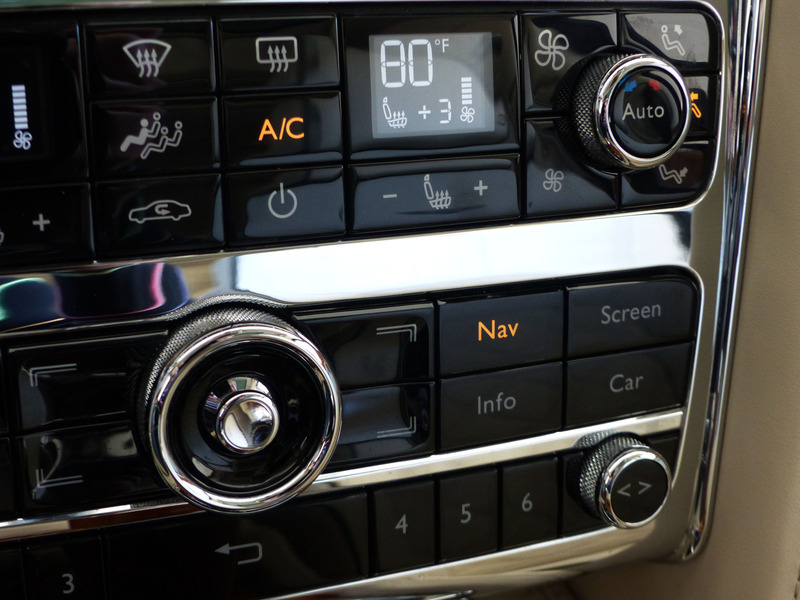 - Seat Ventilation / Massage Function to Front / Rear Seats! 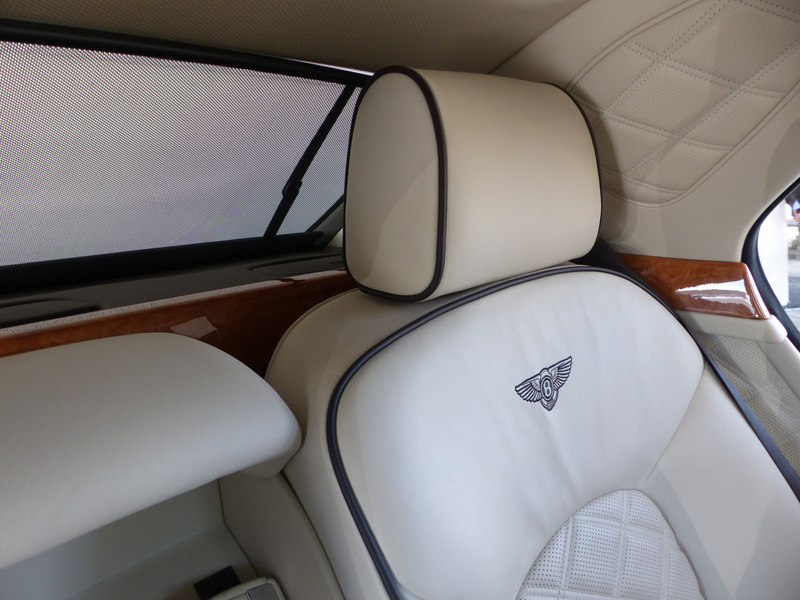 - Shade Band to Windscreen! 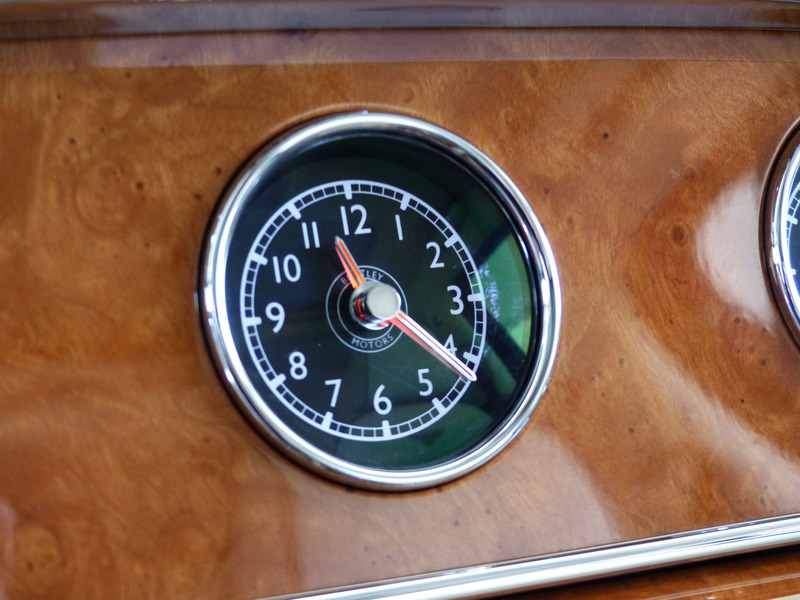 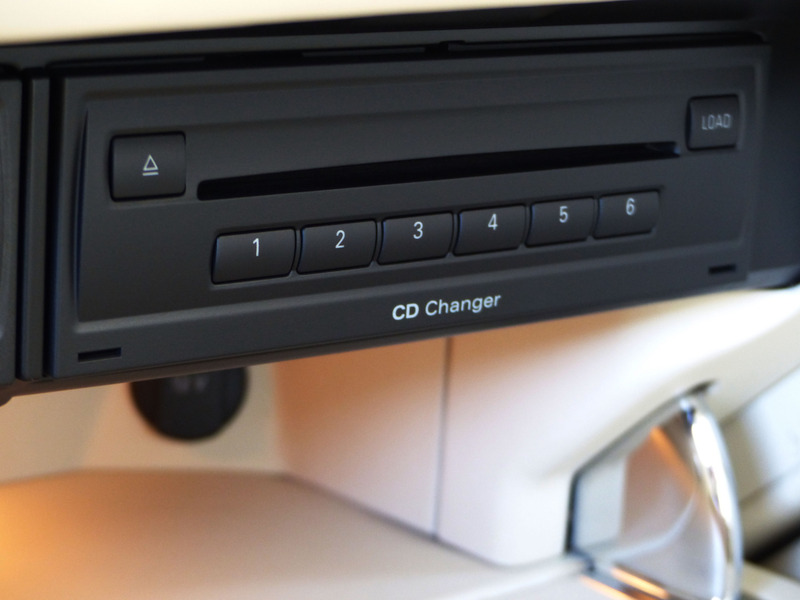 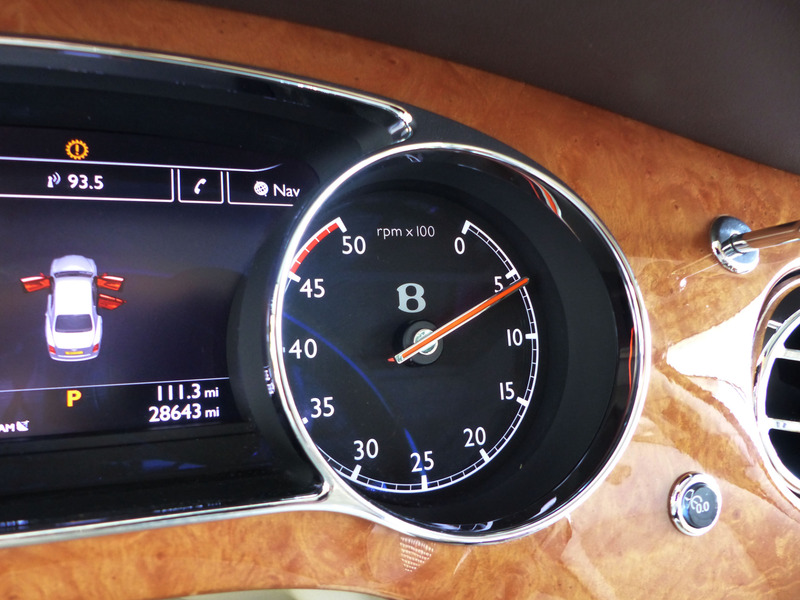 - Veneer iPod Drawer / Minor Gauges Panel! 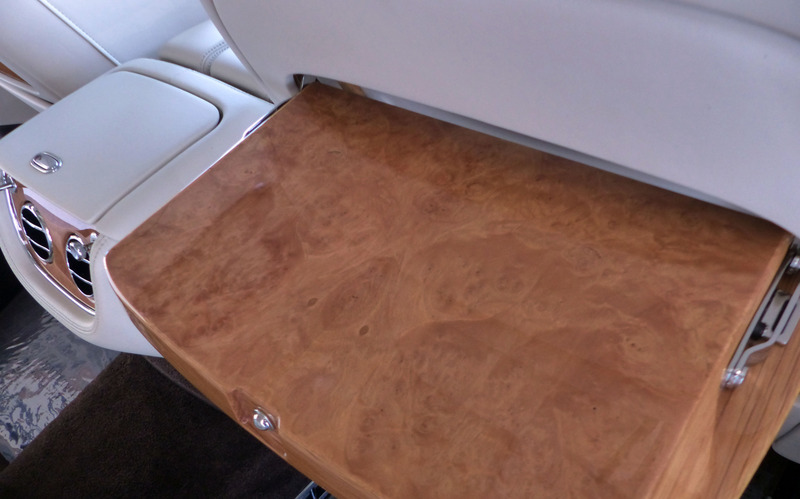 - Veneered Picnic Tables to Rear of Front Seats! 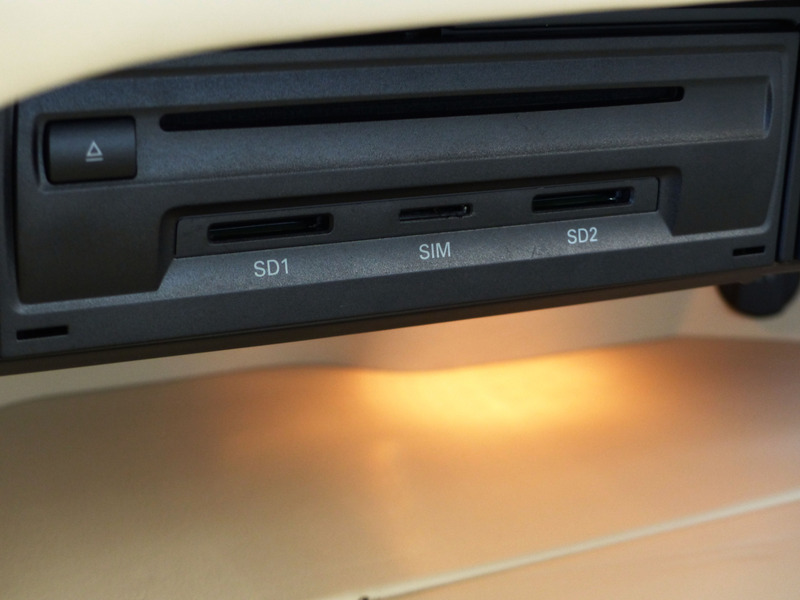 * Twin Illuminated Fold Down Vanity Mirrors (cost option)! 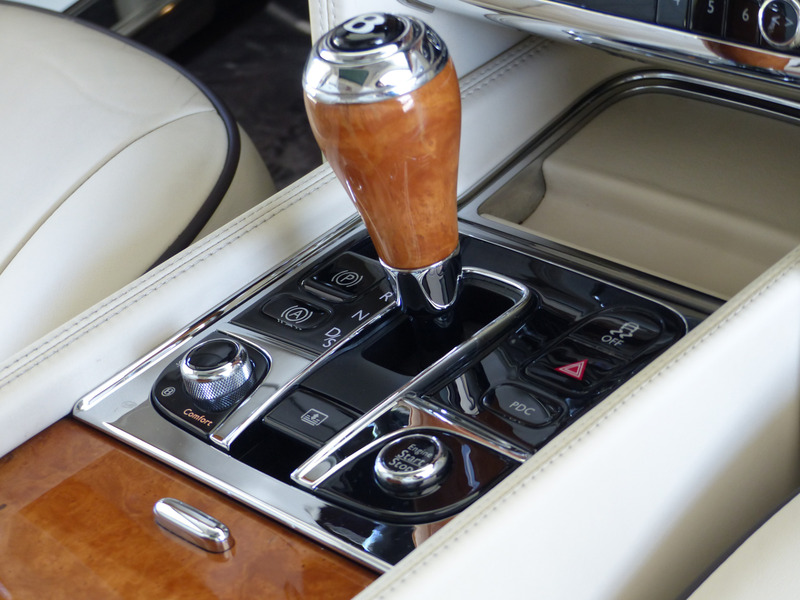 * Veneered Gear Lever (cost option)! 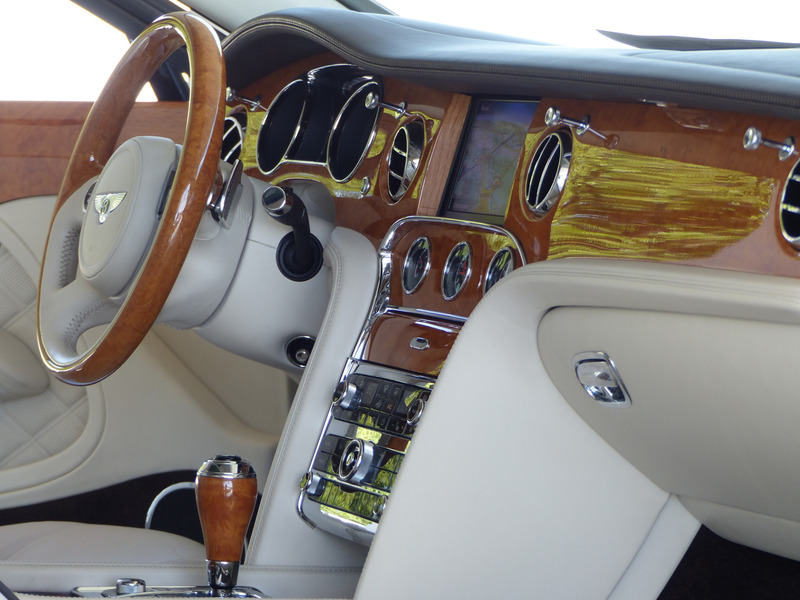 * Veneered Rim Steering Wheel (cost option)! 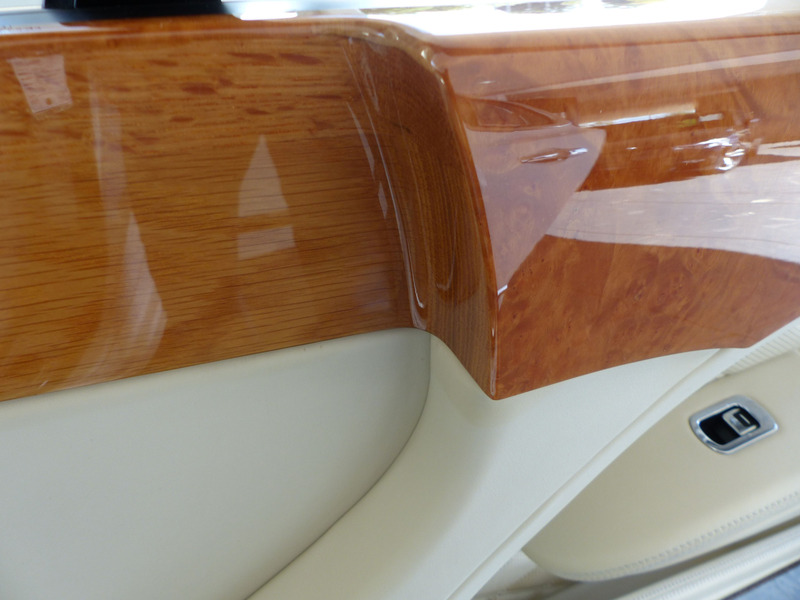 * Chestnut Veneer - $4725 Option!